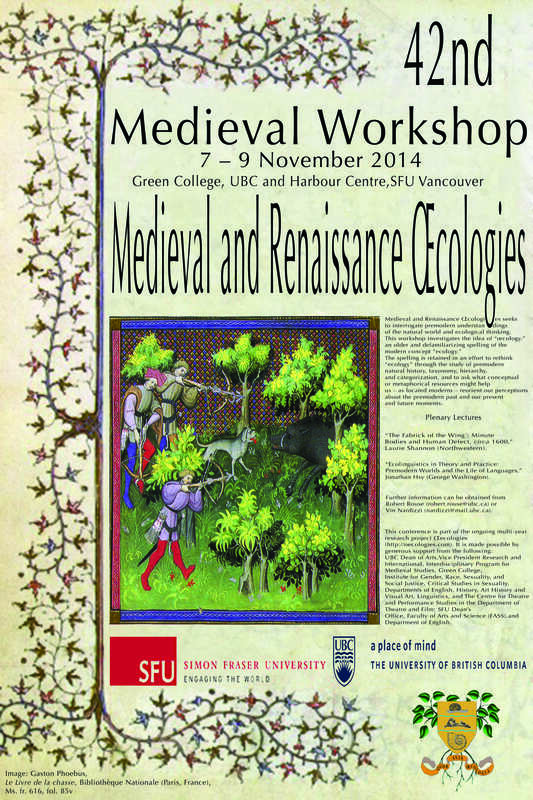 and at some point I will actually get to see more of the UBC Medieval Workshop! 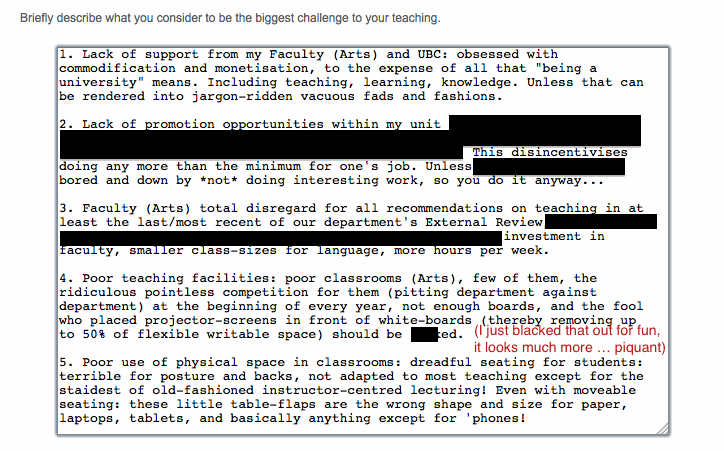 My main impediment hasn’t been completing surveys; it’s been the unfortunate conflict with teaching and meetings. But these have all been fine; I’m not complaining. 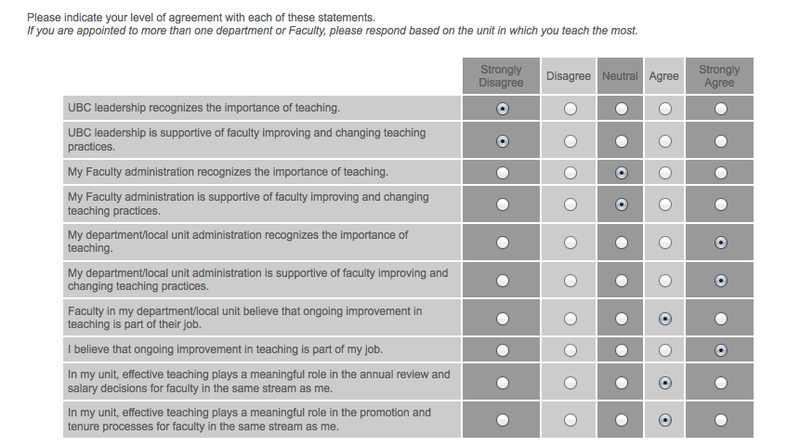 I should add that item 2 above is partly because of the freezing of faculty hires (which may or may not impact promotions, depending) and a 3% budget cut imposed from The Outsiders Above. This was supposed to be a cut to university general expenditure and especially to ADMINISTRATIVE BLOAT. It seems to have been translated, in practical terms, to cutting funding to teaching and front-line activities at, erm, what is after all supposed to be a “university.” Administrative areas seem to have increased: ex. make-work projects replacing IT management systems, paying lots of money for a tailored version of Blackboard rather than going free and open with Moodle or, indeed, Sakai (with which UBC worked interestingly and innovatively in the past; but that is past history, and was free and open so not interested in making money, and as innovation only counts if it makes money, this doesn’t count… and references to this past work are progressively being erased). We strive to ensure that our investors, employees, portfolio companies and all parties with whom we do business can rely on us to operate in a responsible and ethical manner. We have a deep commitment to professionalism, fairness and integrity in all of our business dealings. And that, ladies and gentlemen, is a case in point for why LANGUAGE AND KNOWING, LEARNING, AND TEACHING ABOUT IT ARE GOOD AND IMPORTANT. Ethics = “environmental, health, safety, labor, governance and social issues.” And issues are problems, impediments, obstacles. They’re neither good nor happy and harmonious. They’re bad, unless and except when they coincide with “growth and maximizing returns for our investors.” If that doesn’t happen, Blackboard gets sold. Who suffers? Students. Faculty too, but the principal beneficiaries here are students. Who has no say in the matter? You guessed it: all of the above. And this, ladies and gentlemen, is the model–in everything from lexis to rhetoric to organization and politics–that we should be seeking to emulate. Slavishly, whilst of course also Seeking to Develop Ourselves as Leaders. UBC is very big on “leadership.” Too many people have been reading too many self-help manuals. Too few have been reading the original and best ones, like Boethius’s Consolation. And far too few have any awareness of leadership-culture being far from a given Good. “Leader/~ship” is a negatively-loaded term and a political problem. Macho cut-throat “free” competition is fundamentally patriarchal and antifeminist, an undemocratic dismissal of rights of and responsibilities for minorities, intersectionally unjust, and potentially totalitarian. yes, you’re absolutely right: who else would this be but “Got Medieval”? The very last image is one of the most fitting in what I’d thought of, when first performing the search, as an expected way. Peers + shared food + chat. It’s as Medieval as the vegetables higher up: totally Medieval for some parts of the world, not for others. Medieval isn’t just Europe.